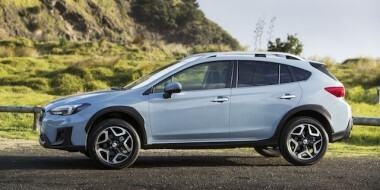 Subaru NZ expects to sell between 1000 and 1100 cars in the last four months of 2017, a number that would bring the year to a close at around 3300 registrations. Doing so would mean growth of 24 per cent on last year’s 2663 sales. It would also mean growth over the past five years (2013-17) of almost 89 per cent. Sales in 2014 grew 4.2 per cent on 2013; those in 2015 were up 24 per cent on 2014; in 2016 they increased 17 per cent on 2015. 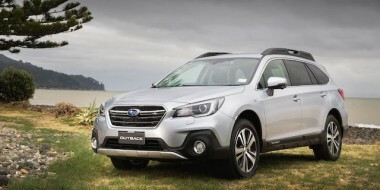 If 2017 sales top out at 3300 vehicles, as Subaru NZ managing director Wallis Dumper expects, that’s year-on-year growth of the aforementioned 24 per cent. Among the cars for 2017 that Dumper was always going to get are facelifted versions of three all-wheel-drive performance models – Levorg, WRX, and WRX STi. They fall into a market segment of “cars you actually drive,” he said. “A lot of people tend to ignore it (the segment), which is something I really struggle with. 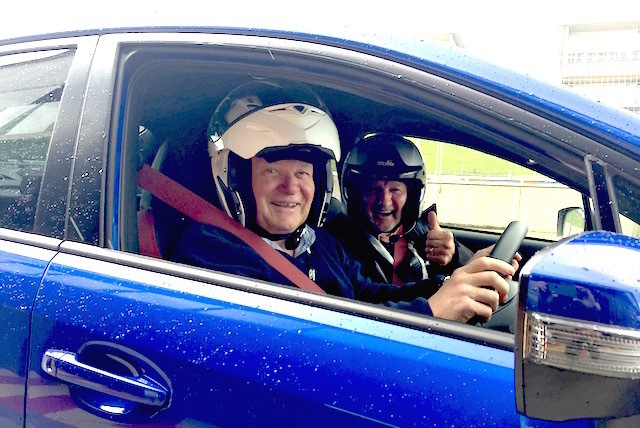 Dumper and his team unveiled the updated Levorg, WRX and WRX STi at the Hampton Downs motorsport complex, aided by a four Downforce driving instructors – ‘Racing’ Ray Williams, Callum Quin, Richard Moore, and Jason Liefting. It rained on and off during the pre-lunch runs on the undulating track, conditions which served to highlight the traction four-paw Subarus bring to the dance floor. All three models pick up cosmetic changes, safety add-ons, and a 10-way powered driver’s seat. There are new-look front ends – grilles, bumpers, LED headlights – and new wheel designs. Safety upgrades include collision-mitigating cameras front and back and a footbrake that automatically activates the handbrake to hold the car stationary. 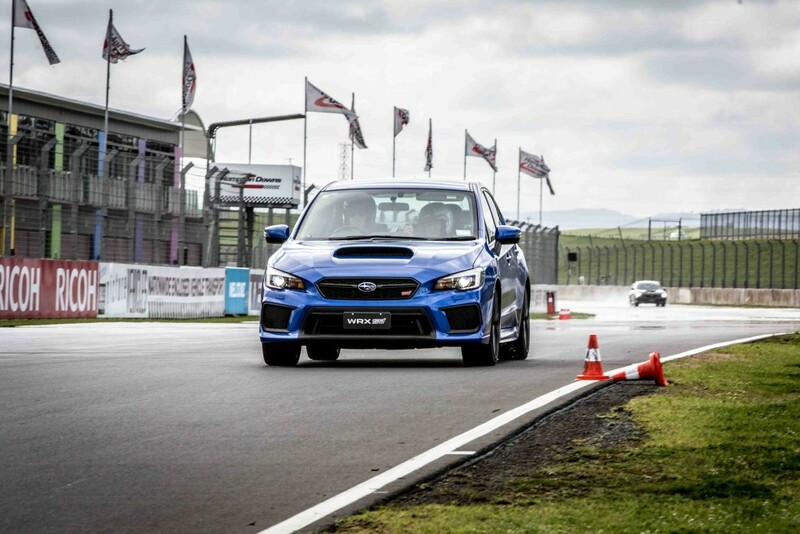 Both the eight-speed automatic WRX models (entry-level and Premium) get Subaru’s Eyesight safety system, recognised as one of the best on the market. It works with cruise control so it has no place on the six-speed manual models. Levorg, the spiritual successor to the Legacy GT wagon, adds the colour Storm Grey to its palette. Engineers have reworked Levorg’s Bilstein suspension set-up for a more refined ride. The same engineers have revised the suspension on the WRX STi and tweaked the Driver’s Controlled Centre Differential (DCCD) to improve performance. The STi brake package has been upgraded from four- to six-piston Brembo calipers up front. The rears continue the two-piston set-up. There is also new-look 19-inch alloys. Both the entry-level STi and STi Premium get heated door mirrors and the choice of a prominent rear wing. The Premium model gets a camera up front. Both also meet the advanced Euro6b emissions regulations. Levorg is priced at $57,990. 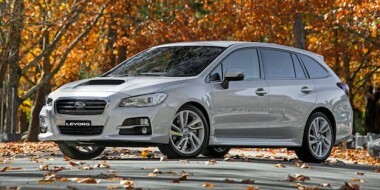 The entry-level six-speed manual WRX is $48,990, the eight-speed automatic $50,990. The Premium WRX manual is $53,990 and the auto $55,990. 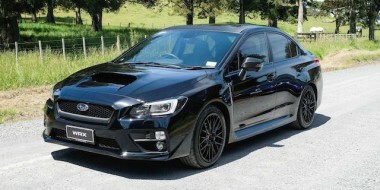 The standard WRX STi and its six-speed manual is $59,990; the Premium STi is $64,990.